New South Wales Waratahs won a classic encounter at Allianz Stadium on Saturday, scoring five tries to three as they forced their way back into the wildcard spots and the Hurricanes slipped out of the top six. The Waratahs took the lead in the first minute, through Rob Horne in the left corner after a searing break from Adam Ashley-Cooper, but they found themselves trailing 24-7 midway through the half after quickfire tries from Jeff Toomaga-Allen, Beauden Barrett and Julian Savea before squaring the ledger on the stroke of half-time through tries from Dave Dennis and Bernard Foley. Michael Carraro, making his first start since 2008, put the hosts back in front with his first Super Rugby try before two soft penalties for Barrett reduced the margin to one point, but Stephen Hoiles scored wide out two minutes later, after calling for an inside ball from replacement lock Will Skelton, and Foley kicked a penalty, awarded against T.J. Perenara for backchat, to produce the final nine-point margin that ensured the Hurricanes got nothing out of the game. 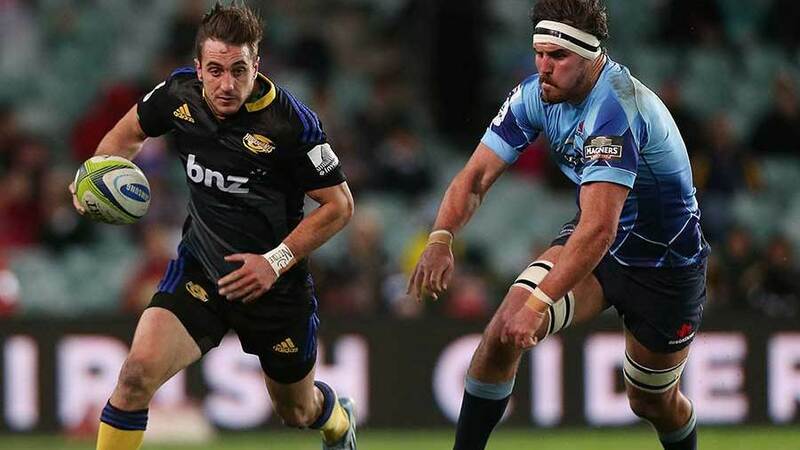 The Waratahs moved within one point of the Brumbies atop the Australian conference with their first four-try bonus-point performance against Kiwi opposition since 2011 while the Hurricanes slipped behind the Chiefs and the Crusaders in New Zealand. New Super Rugby comp will guarantee a Waratahs-Hurricanes game every season at expense of, for example, a Waratahs-Force game. Complaints? Waratahs coach Michael Cheika hailed the spirit of his players as the reason for the victory. "This team's got a lot of heart, that's for sure," Cheika said. "Over the last 18 months we've worked hard on that part, been really unified and with a lot of ticker to stay in games and today was a good example of that because I think that's what got us through in the end." 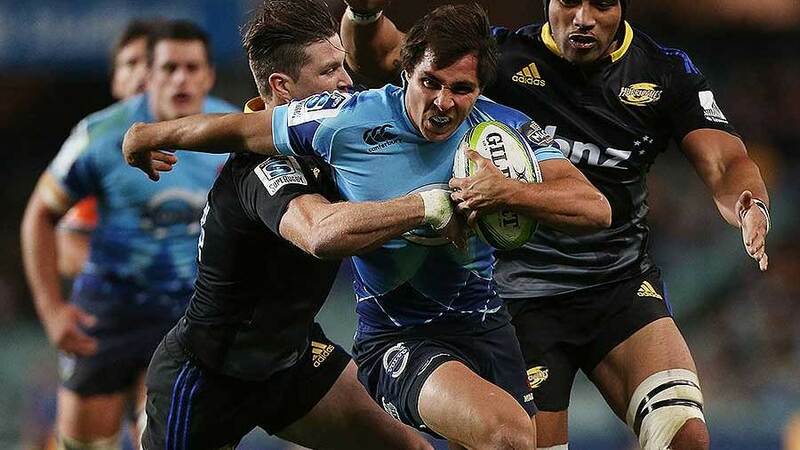 Waratahs skipper Dennis said: "There were a couple of defensive lapses early and we made it hard for ourselves, but every time we held the ball we got in behind them and I thought we stuck to our shape well. To win against the Hurricanes is a good result for us." Hurricanes captain Conrad Smith said the loss was tough to take after four consecutive victories had seem them surge to the top of the New Zealand conference. . "We had opportunities," Smith said. "We did well in the first half and we just missed a couple of chances in the second half, and they attacked really well and scored points and we couldn't keep up," he said.